We’d love your help. 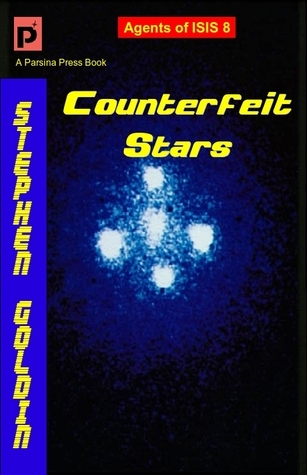 Let us know what’s wrong with this preview of Counterfeit Stars by Stephen Goldin. Welcome to the first great space opera decalogy of the twenty-first century! Agents of ISIS is the 21st century re-envisioning of the Family d'Alembert series by its original author, an epic saga describing the fight to preserve humanity from the forces of chaos and destruction. Having had its plans thwarted too many times by the Imperial Special Investigation Service, the Welcome to the first great space opera decalogy of the twenty-first century! Agents of ISIS is the 21st century re-envisioning of the Family d'Alembert series by its original author, an epic saga describing the fight to preserve humanity from the forces of chaos and destruction. Having had its plans thwarted too many times by the Imperial Special Investigation Service, the evil conspiracy declares war directly on the brave men and women who serve in the agency. To ask other readers questions about Counterfeit Stars, please sign up.